The charity event, at Penshurst Place, also marked the start of Creaseys’ 150-year anniversary celebrations. Creaseys was founded in 1868 and has become Kent’s largest independent accountancy practice, with a complement of around 70 people. A dozen teams participated in the rounders challenge, with construction company W Smithers & Sons the overall winner. HSBC took the runners-up place. Presentations were made by the Mayor of Tunbridge Wells, Councillor Len Horwood. 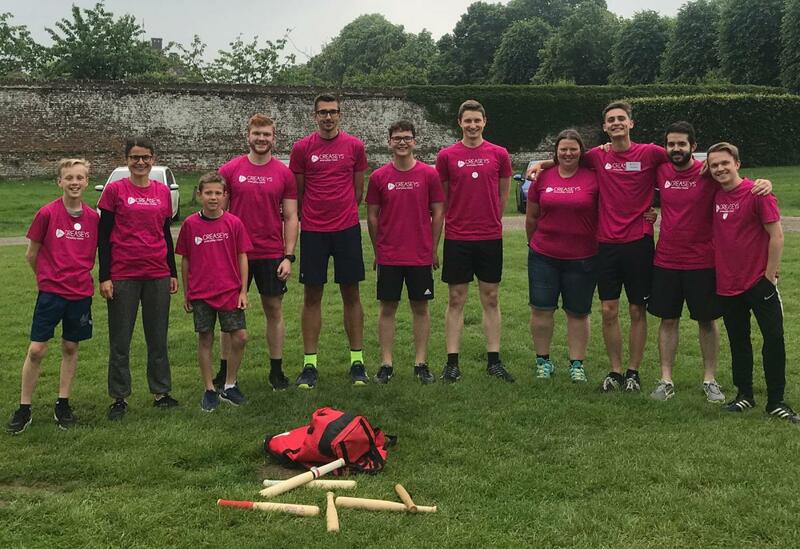 Also taking part were Batcheller Monkhouse, Cripps (two teams), Hilden Oaks School, Loch Associates, Penshurst Place, Syd Bishop & Sons, Thackray Williams, Towergate Insurance, plus Creaseys. Beneficiary Tunbridge Wells Mental Health Resource, a registered charity, works towards reducing the stigma surrounding mental illness by providing practical help within the community. ‘The Hub’ is a vibrant well-being centre, there are shared-experience group sessions, further peer support gatherings for teenagers, and an out-of-hours café, where individual counselling is available.